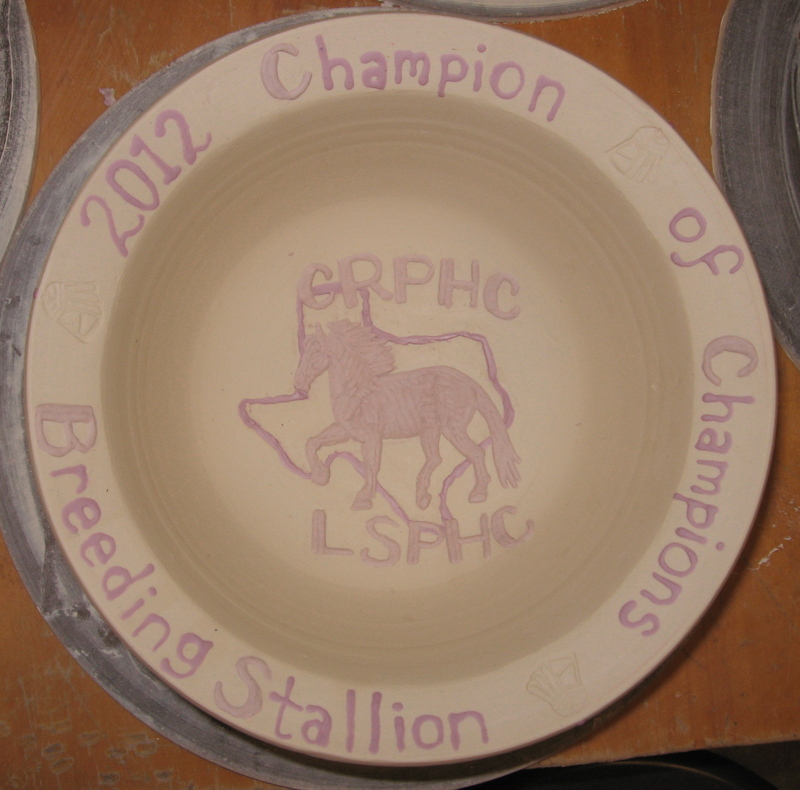 I trimmed the last 4 of the 12 trophy bowls today. Now they’re under plastic just drying away. 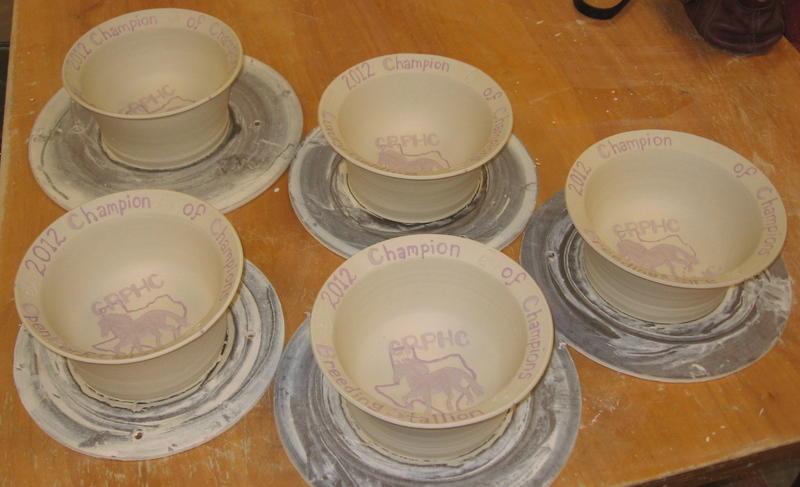 I’m relieved to be finished, considering each bowl took about an hour to decorate. If for some reason any of the trophies fail, I’ll have to re-make them on an as needed basis since each has a unique award title. I promise to get pictures taken of the finished greenware pieces in the next week or two. Marlene Jack yunomi, from the Akar show. 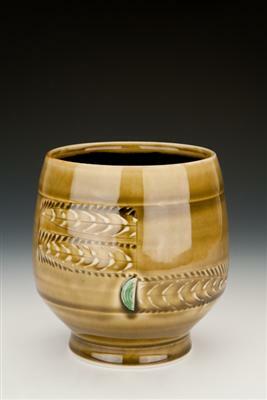 Also, Akar has an excellent cup show online as of today, the 2012 Yunomi Invitational. The breadth of artists is pretty impressive, with many known potters mixed in with the fresh blood. Some of my favorite pieces from the show are the work of Marlene Jack, Melissa Mencini, Brooke Noble, Susan Dewsnap, Kirsten Bassion, Kristen Kieffer, and David Crane. This collection is certainly worth a perusal. 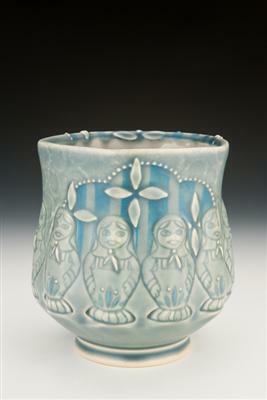 Kristen Kieffer yunomi from the Akar show, with repeating matryoshka stamps. Cool! That’s all for now. Save the date for my upcoming craft sales: Art in the Yard on April 21st in Dallas and the Craft Guild Spring Show and Sale the first weekend in May in Addison.